Built in 1959. First owner-occupants were Rev. Calvin M. Young, Jr. and spouse Margaretta R. Young. Rev. Young was one of McCrorey Heights’ many Presbyterian ministers, but unusual in the fact that he did not work in Charlotte but rather commuted to Gastonia, where he led that city’s main African American Presbyterian congregation for a quarter century. His wife Margaretta taught at Highland High in Gastonia and West Charlotte High near McCrorey Heights. 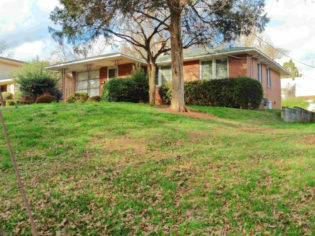 Built in 1958 – 1959 and first occupied by Charles E. Sammons and Lena M. Sammons. Charles Sammons was one of several McCrorey Heights men who worked for the U.S. Post Office — among the best-paying steady jobs available to African Americans before the 1960s. Lena Sammons was a life-long educator — a career path she shared with the majority of McCrorey Heights women. She taught at York Road High School and Garinger High School, served as Director of Public Relations at Johnson C. Smith University, and finished her career as Principal at Hidden Valley Elementary. Built in 1958 – 59. Original owner-occupants were Rev. Herman L. Counts and his spouse Olethea W. Counts. Rev. Counts was a Johnson C. Smith University professor of theology and active civic leader. Wife Olethea taught kindergarten at Oaklawn Center nearby. Their daughter Dorothy Counts had made national headlines when she integrated Harding High the year before the family moved to this house. Built 1959-60. First occupants were William P. Crawford, a laborer, and his wife Dorothy R. Crawford, librarian at Charlotte’s short-lived black state-supported Carver College, a predecessor of Central Piedmont Community College. Built in 1960 – 61 for Jack S. Brayboy, professor and director of athletics, one of Johnson C. Smith University’s most respected and beloved figures. Brayboy Gymnasium, the school’s basketball arena, is named in his honor. His wife Jeanne M. Brayboy, an elementary school music teacher, became one of Charlotte’s most active civic women, serving on many boards. 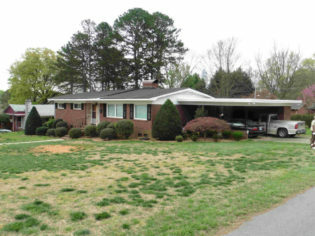 Built in 1956, this house’s first owner-occupants were Bernice Bullock and her husband Lawrence, a bellman at the Mecklenburg Hotel. 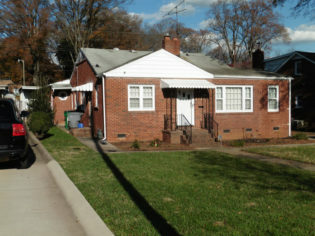 In a neighborhood of impressive women, Bernice Martin Richardson Bullock was notable both for her own achievements as a college administrator at Bethune Cookman College and JCSU and also as mother to three daughters who became closely involved in local and national Civil Rights efforts: Dr. Annie Richardson who headed the National Institute of Science, Catherine Hawkins whose husband Dr. Reginald Hawkins became Charlotte’s most outspoken and effect Civil Rights crusader, and Emily Ivory, whose family led Civil Rights efforts in Rock Hill, South Carolina. 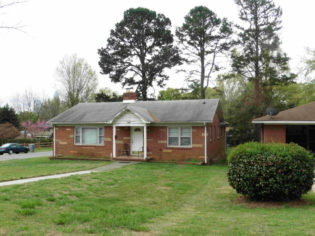 Built about 1959 and first occupied by leading Charlotte educator Libby Randolph and her husband John D. Randolph, maintenance man at Charlotte’s Brookhill Village low-income housing development. Elizabeth “Libby” Randolph was Principal at University Park Elementary when the couple moved here. During the 1960s as a CMS administrator she launched kindergarten classes across the school district. She rose to become Assistant Superintendent in the 1970s, the first African American female in top administration, and was named WBT Woman of the Year — the city’s highest honor. The main building at the School Board’s administrative campus is named in her memory. 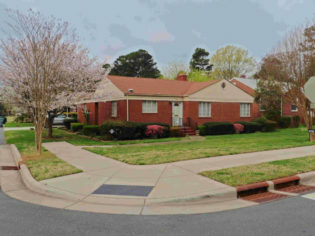 The second longtime resident in this house was Rosemary Lawrence, Revenue Manager for the City of Charlotte. 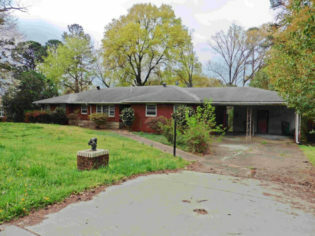 Built 1956 for Clarence E. Moreland and his wife Helen P. Moreland. He was the founding principal of Northwest Junior High (now Northwest School of the Arts), which was the city’s only black middle school when it opened in 1954. She taught at Fairview School. 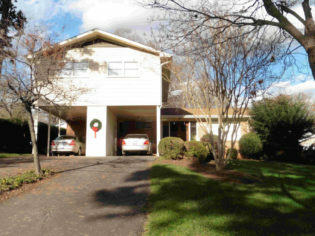 The Moreland clan were highly regarded as civic leaders in Charlotte. 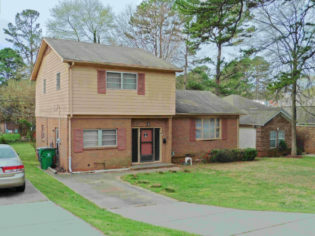 Two of Clarence Moreland’s siblings lived nearby in McCrorey Heights, elementary school principal Howard Moreland and real estate executive George W.C. Moreland. 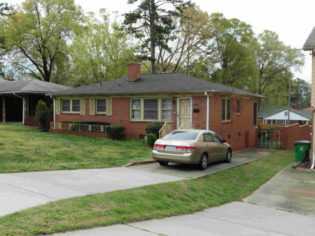 Howard’s daughter also resided in the neighborhood, wife of Mecklenburg County’s first black County Commissioner Rowe Motley. 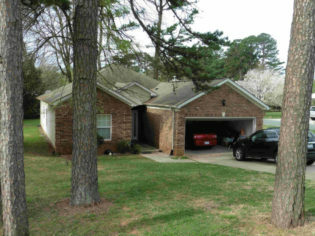 Built about 1981 and first occupied by William E. and Dorothea M. Cornelius. He was a small business owner, proprietor of a laundromat in Charlotte’s African American neighborhood called Brooklyn — “the first black washerette” in the city, according to his funeral program. Constructed 1956 – 57 for Stanley Fisher, clerk at the U.S. Post Office, and his wife Clotelle, a high school teacher. The builder was Clotelle’s father Mangie McQueen, perhaps the city’s most active African American contractor, who built many dwellings in McCrorey Heights. Built 1960-1961. The first occupant was Winston B. Fletcher, a teacher at Second Ward High School. Built 1965-66 for Second Ward High School principal E.E. Waddell, one the city’s top educators and civic leaders, and his wife Frances C. Waddell, also a teacher. Two educational facilities today are named in Dr. Waddell’s honor: E.E. Waddell Community Center in Albemarle, N.C., where he served as principal for two decades, and E.E. Waddell High School in Charlotte. 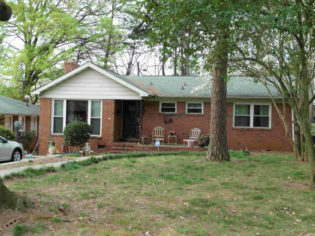 Built in 1957, this house first was home to Mrs. Louella M. Currie, a teacher at West Charlotte High School. A later long-time resident was Arthur A. Wilson, Jr., one of two teachers who launched Drivers Education as a course in Charlotte schools. 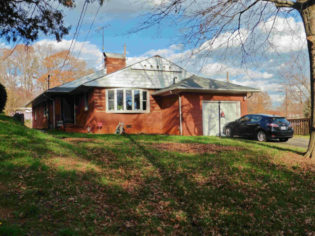 Built 1957-58 by Marsh Realty. 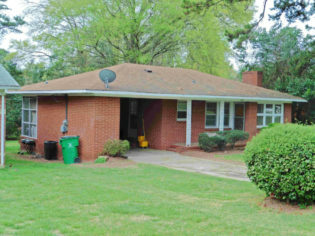 The first owner-occupant was Eddiola Alexander, a long-time Home Economics educator first at Sterling High School then later at West Mecklenburg High. 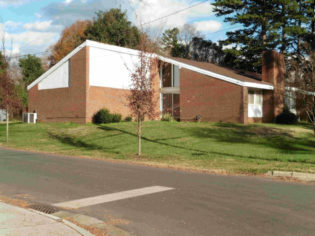 Built in 1976, this is the most architecturally significant house in McCrorey Heights, an early design by noted Modernist architect Harvey Gantt who later became Charlotte’s first African America mayor. Gantt created it for Matilda Spears, a path-breaking educator. In the 1960s Mrs. Spears became “one of the first black female school principals to work in an integrated community when she became Principal of Park Road Elementary,” noted her funeral program. She also served as principal at Zeb Vance Elementary School, and late in her career taught as Associate Professor of Education at Barber Scotia College. Mrs. Spear’s husband Arthur Eugene “A.E.” Spears headed the Charlotte branch of North Carolina Mutual Insurance, one of the largest black-owned economic enterprises in the United States. Constructed about 1968-69 and occupied for its first decade by Rev. and Mrs. Mayo L. Rich. Rev. Rich led Greater Bethel AME Church, then worked for the city’s mental health agency. Built in 2002, according to municipal tax records. Initial occupant was Cora L. Scott. 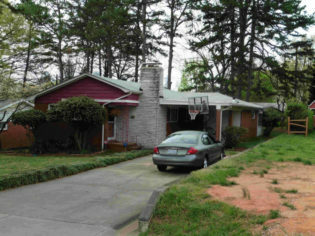 In December of 1959 Otis L. Young took out the building permit to have contractor Edwin O. Clarkson construct this home. Young and his wife Lou Venia S. Young lived here through least 1989. Young worked as a porter with the Southern Railway, one of the top jobs available to African American men in the era of segregation. Porters were usually unionized, and thus had better wages and job security than most workers in the South, black or white. “Mrs. 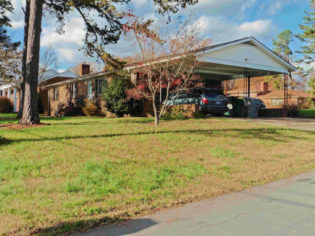 Young spent her career as a teacher at Bruns Ave. and after 1977 as a librarian at Our Lady of Consolation Catholic School,” according to a 1989 article honoring their gardening efforts as winners of the Charlotte Post Lawn of the Year Contest. 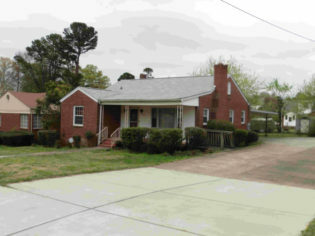 Coleman Rippy took out the permit to build this house in 1952. 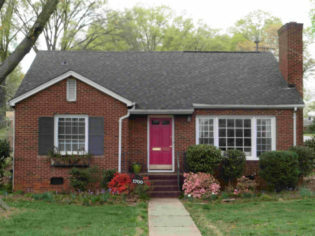 It was among the earliest dozen or so houses completed in McCrorey Heights after World War II. For decades, Rippy was one of Charlotte’s strongest voices for social justice. He initially directed the Oaklawn Community Center, a social work effort that aided low income residents in the Double Oaks area of Charlotte. He next created the program in Sociology and Social Work at Johnson C. Smith University. He also served as a national lay leader in the A.M.E. Zion Church. His wife Almeda Rippy had a long career as an educator, a curriculum development administrator in Charlotte Mecklenburg Schools, and a professor of education at UNC Charlotte. Built in 1955 by “spec-builder” E.O. Clarkson and sold to Mrs. Wilma G. Williams, an instructor at Johnson C. Smith University. 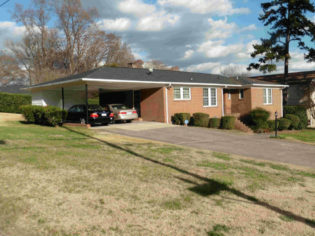 In the mid 1960s this became the residence of contractor and cement mason Malachi Greene, Sr., whose accomplishments included co-founding the Charlotte local of the OPCMIA, the national plasters and cement finishers union. Mr. Greene’s sons became important leaders. Malachi Greene, Jr., held several positions in North Carolina state government and served two terms on Charlotte City Council in the 1990s. 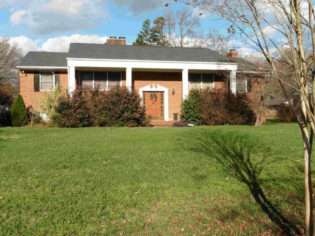 Dr. William H. Greene — who became the owner of this house in 1979 and lived here with his wife, JSCU psychology professor Dr. Ruth Greene, into the early 1990s — had a career as a university administrator, including a stint as president of Livingstone College 1983 – 1987. 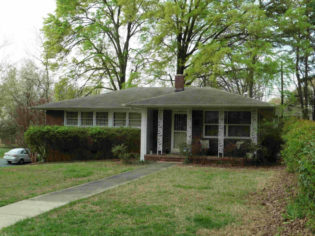 Built 1951-1952 for Berthon T. Holloman and Louise K. Holloman, this was among the earliest dozen or so houses completed in McCrorey Heights after World War II. Mr. Holloman was a clerk with the U.S. Post Office. Mrs. Holloman taught in Charlotte’s public schools for forty years.